Everything must run smoothly in industrial production. Especially when a wide variety of components are provided at different times for the production process. 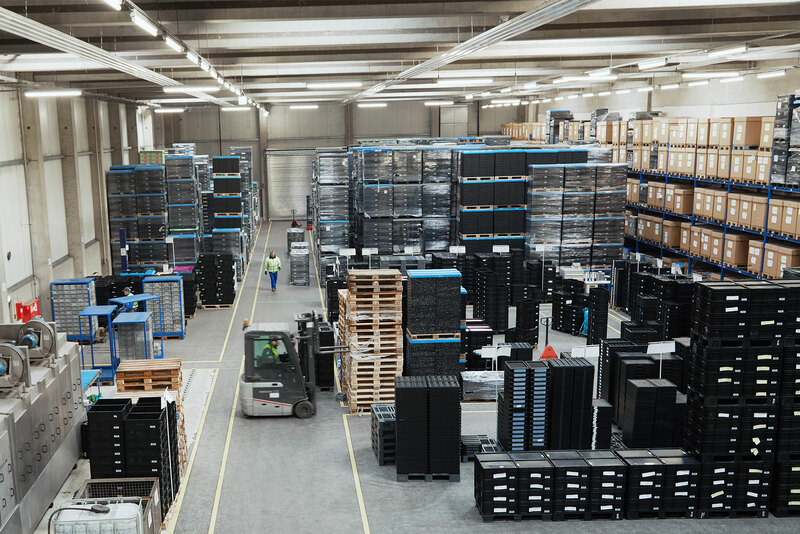 Reusable containers facilitate the storage and transport of all conceivable types of components. Large numbers of them are used in production as universal transport containers. They are cleaned, stored and made available again for the process in a recycling system. 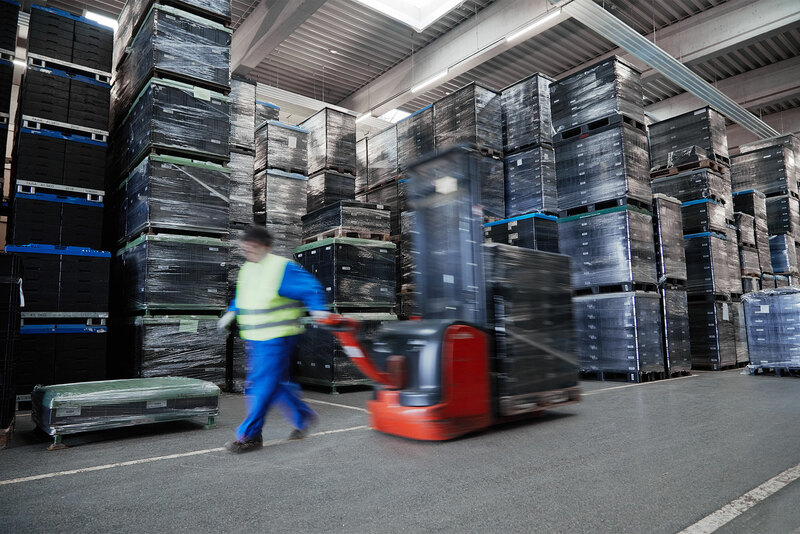 As a rule, this task is carried out by highly specialised service companies. Cleanliness is considered to be an important quality criterion in production. And it starts with optimally prepared plastic transport containers. The highly chemically resistant but mechanically sensitive material is very difficult to wet with surfactant solutions during the cleaning process. This does not only result in an increased cleaning effort. The final drying of the containers proves to be especially difficult. This is because stubborn water pockets that do not really run off form on the highly hydrophobic plastic surfaces and these are difficult to dry. LKY Wartungs- und Industrie-Service GmbH, a renowned service partner for industrial companies, repeatedly had problems with water drops adhering to containers after the drying phase. The thirty-meter long Everest Tunclean car wash was evaluated at the Regensburg site together with the partner company ITR Anlagenbau from Pettendorf, a specialist in process optimisation. In particular, the interaction between the chemical and mechanical components was analysed. ITR Anlagenbau first cleaned the system thoroughly so that reproducible results could be achieved in the cleaning tests carried out. A variety of surfactant combinations and drying agents were used in the continuous washing system in several series of tests and their run-off behaviour was compared. The especially low-foaming surfactant combination of Caramba I-Line AD-10 increased the mechanical cleaning components and achieved the best result in the spray procedure due to optimal wetting of the parts. The Caramba I-Line XN 35 plastic dryer then shone with the best run-off performance after rinsing. Switching to Caramba products significantly increased the performance of the component cleaning system. On the one hand, it was possible to reduce the foaming that hinders the wash process and to extend the service life of the cleaning bath thanks to the highly effective demulsifiers in Caramba I-Line AD-10. On the other hand, Caramba I-Line XN-35 XN plastic dryer delivered a fantastic drying result. Combined together they provided a cleaning result that does not need improvement in terms of cleanliness or drying. Mildly alkaline cleaning agent for efficient removal of drawing and punching oils, grease and stubborn particulate contamination. 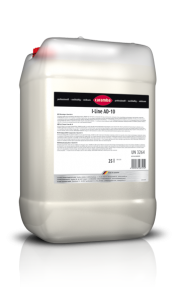 The cleaning agent I-Line AD-10 is for efficient and gentle removal of drawing and punching oils, grease and heavy particulate contamination. Its particularly low-foaming combination of surfactants ensures problem-free use in spray procedures. The slightly alkaline industrial cleaning agent includes special demulsifiers to prolong the service life of cleaning baths. The temporary corrosion protection included protects parts that are particularly sensitive to corrosion. Product specifically for fast, energy-efficient drying of Euro containers etc. The I-Line XN-35 plastic dryer can be used in all household and commercial dishwashers. The product is ideally suited for drying plastic surfaces or surfaces that are generally difficult to wet. Even dishes used in large kitchens etc., for food preparation, come out gleaming. The specialised product is also suitable for drying plastics and similar surfaces in many other types of wash processes, e.g. washing crates in the freight forwarding industry.